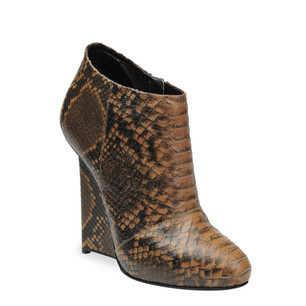 This is from the Giuseppe Zanotti Design Fall Winter 2011-2012 Collection. This print would be the perfect finishing touch to any look in shades of ivory, camel or gray. Which one of these styles would you rock? 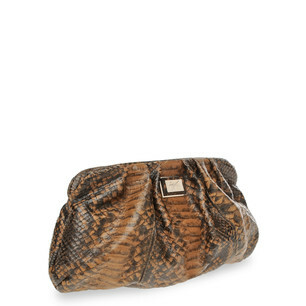 I if this was lighter base, I would probably wear it. 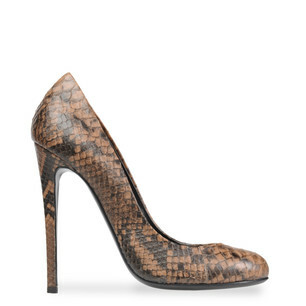 Giuseppe’s website has this as a beige python but it looks more like cognac base color to me. That makes it a maybe for me. Thanks for commenting H. E. Lexus!